Are Solar Panels Viable in the Pacific Northwest? How Is Solar or Photovoltaic Electricity Transported? Solar panel systems require more components than just a set of solar panels. While you can theoretically wire your panels straight to the device you wish to power, this may fail to power some or all of your devices. To set up a stable and flexible solar power system, you need solar panels, a charge controller, a battery and a power inverter. The solar cells are the foundation of any solar power system. 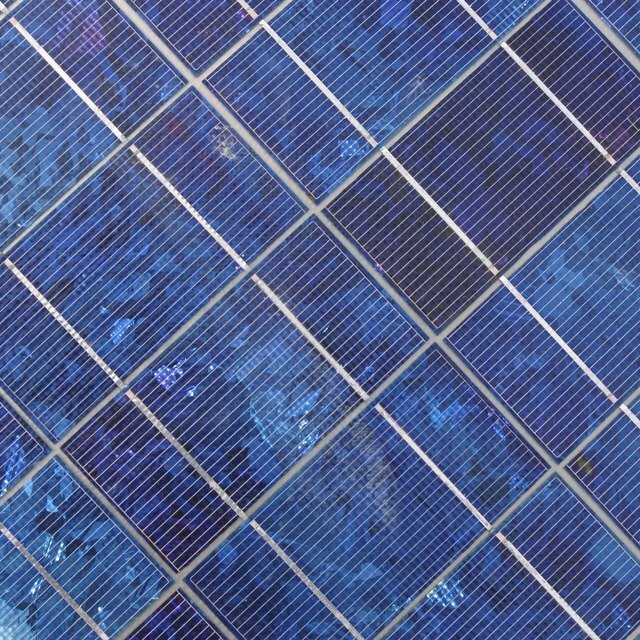 A collection of individual solar cells comprise a solar panel. Each cell creates electrical energy when exposed to light. Depending on the nature of the connections between your solar cells, your solar panel system can achieve a number of different combinations of volt and ampere ratings. Consequently, your solar panels can have a number of different power output ratings. If you have a number of different solar panels, you may need to combine their outputs with a combiner box. The power output of a solar panel system fluctuates depending on the amount of sunlight it receives. Because the sun moves across the sky over the course of a day, panels output a different amount of power throughout the day. When cells receive no sunlight, they output no power. If you power a device directly from a solar panel, the device may not receive enough power to sustain operation. Therefore, the power must be stored in a battery. However, before it goes to a battery, it should travel through a charge controller. The charge controller is a device that regulates the power coming from the solar panels with the right voltage and current to the battery. This is important for safe and efficient battery charging. Power from a charge controller travels to a battery for storage. A battery stores the power from your solar power system based on its amp hour rating. Amp hours denote the amount of amps of current that a battery could output in one hour before needing a charge. Typically, a solar power battery is not discharged quickly over the course of an hour, but slowly over the course of a number of hours. Many amp hour ratings assume a 20-hour discharge time. For example, a 160 amp hour battery might be used to output 8 amps of current for 20 hours. Batteries and solar cells provide direct current power, or DC. This means that the current flows in one direction. However, many electrical devices and systems require alternating current power, or AC. For example, the electrical outlets in a typical house provide alternating current. For this reason, a versatile solar panel system will have a power inverter that converts the DC power from the battery or solar panels to AC power suitable for the electrical makeup of a house. In some circumstances, it may be desirable to tie your solar panel system to a nearby power grid. In this case, your solar power is fed directly to the power grid and your home uses that power. Typically, you are billed for the difference between the power you use and the power you produce. Therefore, you can potentially make money if you use less power than your system produces. In a grid-tied system, a battery is optional. Therefore, a charge controller is optional. You may wish to have a battery and charge controller in the event of power grid failure. This way, you can still power your home. Murmson, Serm. "What Are the Items Needed to Make a Solar Panel System?" Sciencing, https://sciencing.com/items-needed-make-solar-panel-system-6569.html. 10 March 2018.